TO DISCOVER If the ochre city counts more than 1500 riads, only one stands out thanks to its history and its unusual design. 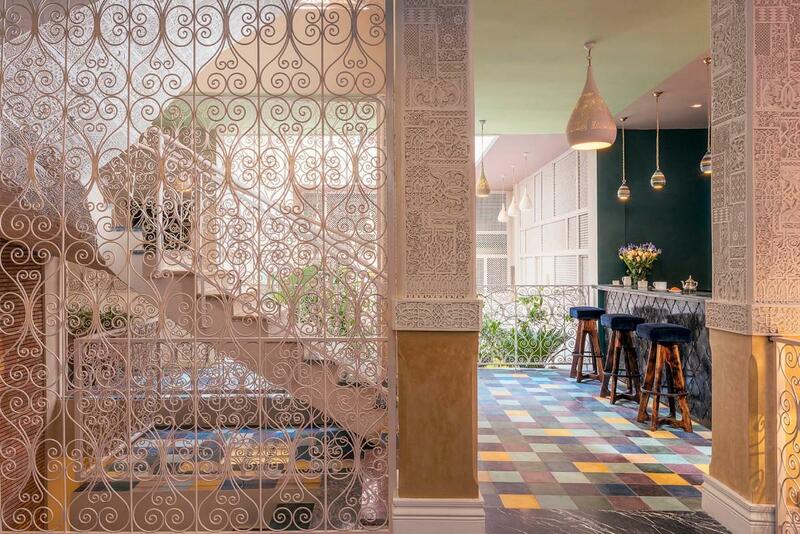 Located in the heart of the medina, just a stone's throw from the Medersa Ben Youssef, Riad Karmela Princesse is a luxury boutique hotel, which plunges us into a world of unique and original decoration and where the art of welcoming is the watchword. 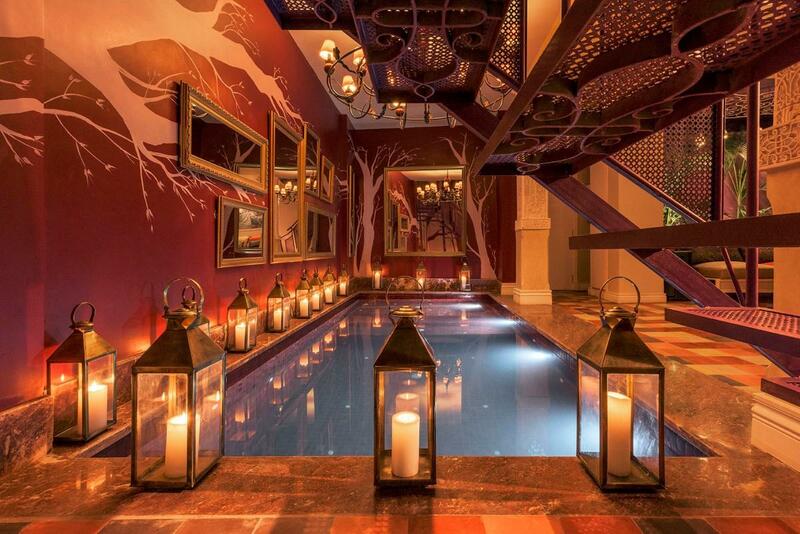 Made in Marrakech invites you to pass the doors of one of the most beautiful riads of the city. 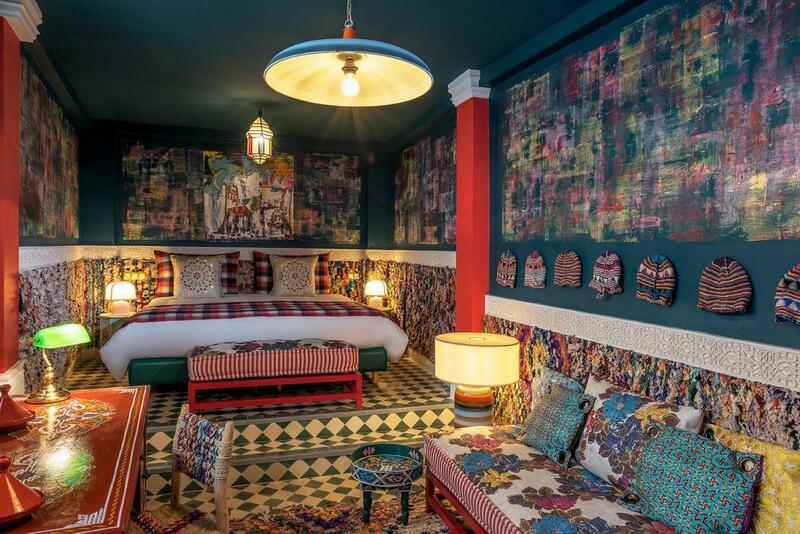 The Riad Karmela Princess derives its name from a legend dating back more than a thousand years, when the founder of the Almoravid dynasty chose the daughter of the Sultan of Ourika as his wife. A craftsman then decided to create and offer his most beautiful pair of babouche to the future princess, but on the way, without realizing it, he lost one of the shoes. Taken of dishonour, when he offered the present to the Princess, he left the region and changed his profession. 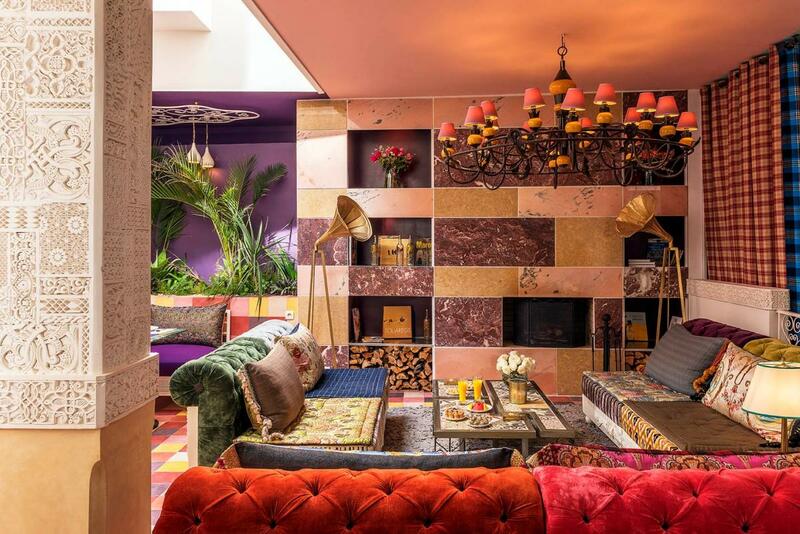 In 2016, during the foundation of the riad, the babouche promised to Princess Zaynab Nefzaouia reappeared as if by magic, during the foundation of the Riad. The riad's spaces were imagined by the "interior stimulators", Made in Diva. From lace balustrades to plaster patchworks, from Scottish curtains inspired by the current djellabas to monochrome zelliges, it's a real Ariadne thread that takes place in front of us and takes us into an unknown and dreamlike universe. Each of the 10 rooms and suites is a source of discovery and escape because in their personalized decoration, ancestral craftsmanship and the modernity of its use are combined. They each use Moroccan material and colour. Wool, leather, knitwear, zellige, stucco, ceramic and many other materials are highlighted as never before thanks to surprising combinations. The eye is constantly solicited, in the rooms as well as in the common spaces, the smallest detail is worked out. The stairs play a colourful melody, the cushions and srifas turn around to create a new harmony of colours and the princess watches over us thanks to the fresco in the living room. A true cocoon of a thousand and one nights, sprinkled with a hint of madness, completely assumed, for our greatest happiness. Joel Castrec, the owner of the place, welcomes you in a chic and friendly atmosphere. His whole team is at your service to ensure that you have an excellent stay. Would you like to relax after a day in the souks? Immerse yourself in the heated swimming pool of the patio, lash on the terrace while sipping a cocktail or relax with the traditional ritual of the hammam followed by a relaxing massage at the spa, located right in front of Riad Karmela, big brother of the Riad Karmela Princess. For your meals, the emphasis is on local and organic products. Enjoy the dishes of the day lovingly prepared by the chef or Moroccan specialities revisited with a European touch. A real treat for our taste buds. The Riad Karmela Princesse is a legendary tale, a unique creation and a top-of-the-range service. 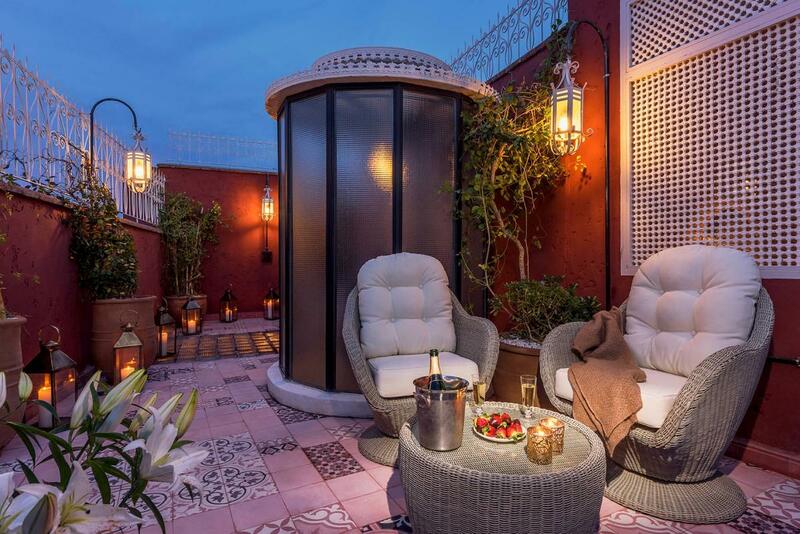 The Riad Karmela Princesse is a truly exceptional riad guaranteeing an unforgettable stay in the heart of the ochre city.